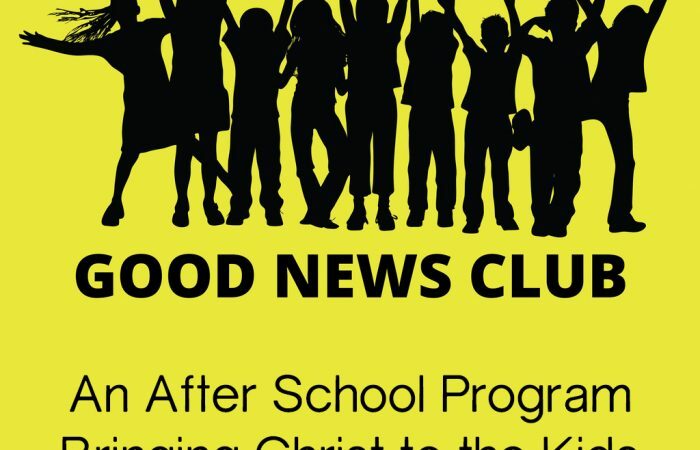 The Good News Clubs is an after school program focused on reaching kids with the gospel. It’s designed for kids and makes learning about the bible fun! Children who have received parental permission come to the club after school is dismissed and separate into different rooms based on grade level. They are split again into smaller groups whereby they grab a snack and begin going over bible verses with their small group leaders. Sometimes they may sing a song or listen to a story but the goal is to learn about the bible. When small group time is up all groups converge in the gym for some worship, stories, and bible lesson. 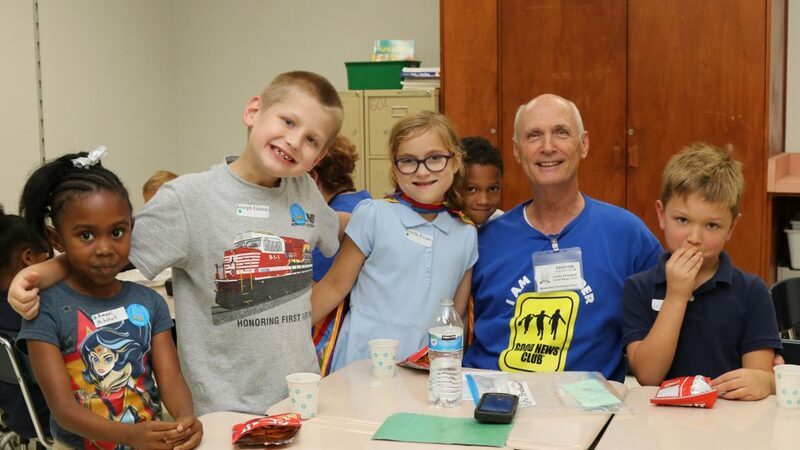 Good News Club helps provide a safe and loving environment for kids while sharing the love of Jesus. It is a program that reaches children of all backgrounds and gives an opportunity for children that don’t go to church to learn about Jesus. Are you interested in Volunteering? Good News Club is happening now and we need your help! Fill out the form below and we’ll get in touch with you. Thank you! If you come on your own be sure to check in at the front desk and get a pass. Ask them to direct you which room to go to for the club. This past Saturday, over 200 women, college-age up to senior adults, gathered together to “Celebrate Women’s Ministry.” Not only was it an opportunity for our ladies to hear from our new pastor’s wife, Rachel Church, about her life and ministry, but also an opportunity to learn about what First Women’s Ministry “DOES” and respond to the call to get involved. 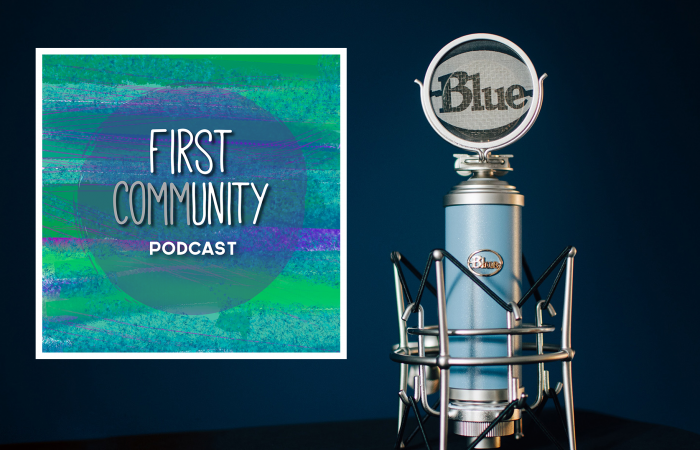 If you’re a woman at First Baptist, you’re a part of First Women’s Ministry,” said Rene White, who has recently taken the role of First Women’s Ministry Chair. “You have gifts to share and we need you,” added Rachel. 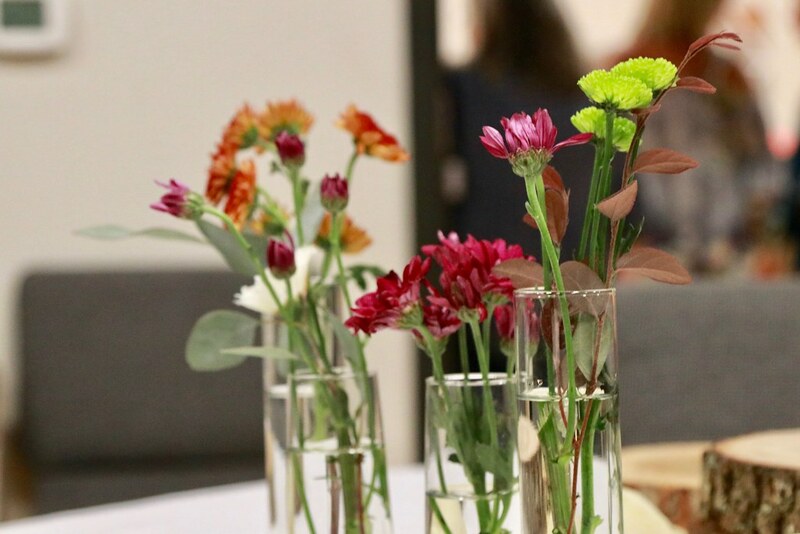 One of the priorities of First Women’s Ministry is facilitating women serving our church, community and even beyond. In that vein, the event also included a service project for Operation Christmas Child. Women chatted around their tables as they assembled sewing kits for teenage girls, an often overlooked demographic of shoe box recipients. Interested in learning about all that First Women’s Ministry does, getting involved, and/or serving on a FWM team? Click here to submit an interest form. I didn’t learn anything that I didn’t know before. I knew that it would be weird. I knew that it would be dark. I knew that my heart would break. But knowing and experiencing are two different things. As I stood in Temple Square surrounded by beautiful flowers and impressive buildings, the phrase “whitewashed tombs” kept coming to mind. Salt Lake City, Utah is Latter Day-Saints (LDS) headquarters. On the surface, the religion looks a lot like Christianity. Get into a conversation with a LDS (I did, more than once) and they will likely speak reverently about Jesus. They’ll probably tell you that salvation comes through Jesus. They might even tell you that LDS are Christians too. After all, LDS theology does include the Bible. Get a little deeper though and you’ll find that it involves three other books, The Book of Mormon: Another Testament of Jesus Christ, Doctrine and Covenants, and The Pearl of Great Price. The official English Bible of the LDS church is the KJV and includes footnotes to interpret the passages to coincide with LDS doctrine. The Believers gathered to worship like Christians do. As songs to Jesus were lifted up, one fell out on the ground and then another until four women were out on the ground, possessed by demons. It’s not something that most Baptists are used to seeing during a worship service in the United States, but on Beth Greer’s latest trip to Tanzania, this scene, albeit intense, was not completely unordinary. On Kome Island off the coast of the Tanzanian mainland in Lake Victoria, six out of ten inhabitants are demon possessed. Beth spent part of her trip on the island, sleeping in a tent, using a ziplock bag as a restroom at night, and telling the residents about Jesus using a stick and the dirt on the ground. What does the bible say about the doctrine of the transfiguration? The word transfigured means, “to transform into something more beautiful or elevated.” In Matthew 17:1-8 and in Mark 9:1-13 we see the story of Jesus being transfigured on the Mount of Transfiguration. Jesus gives the disciples a snapshot of His glory. In the gospel account in Matthew it really begins in Matthew 16:28 where Jesus says, “Truly I say to you, there are some of those who are standing here who will not taste death until they see the Son of Man coming in His kingdom.” The transfiguration of Jesus recorded in Matthew 17:1-8 is a fulfillment of that promise made by Jesus in Matthew 16:28. The bible says in Matthew 17:1 after 6 days Jesus takes the inner circle of disciples including Peter, James and John to a high mountain. That mountain was probably Mt. Hermon near Caesarea Philippi. Jesus was transfigured or transformed before their eyes. He was glorified as He is in heaven today. When our church organist, Charlton Bozard and his wife Sallie went to take their Sunday afternoon naps a few weeks ago, they didn’t know that it was going to be a near death experience. Sallie was in the bedroom and Charlton was in the den in his recliner. They heard the storm warnings on the televisions, so he walked back to their room to joke, “Maybe we should take naps in the bathtub.” Within five minutes of returning to his chair, the rain came in. “Not rain start and get harder and harder and harder, but a solid wall of water,” Charlton recalls. “I hollered, ‘Here it comes!’ and then I saw green go down outside the back door.” He called Sallie to come look out the back door, to which Sallie replied. 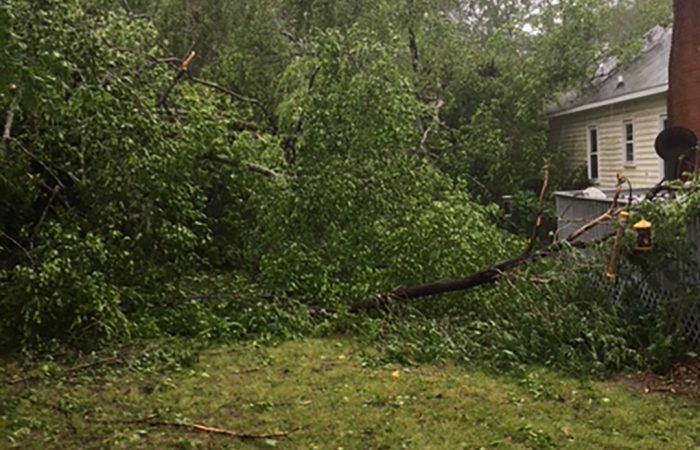 “Forget the yard, come look out the bedroom window!” Their neighbor’s tree had fallen and hit a tree on the corner of their yard. Then both of those trees fell on a huge oak tree in their yard, creating an entanglement of three large trees. Pray for our local, state and national leaders. Ask God to grant them wisdom, discernment, and hearts that are open to His leading. Ask God to give them unity of purpose for the good of our country. Pray for the Churches and Church leaders throughout our nation and in your community. Ask God to preserve and protect them, as He inspires and empowers them to equip His “Saints” for ministry. 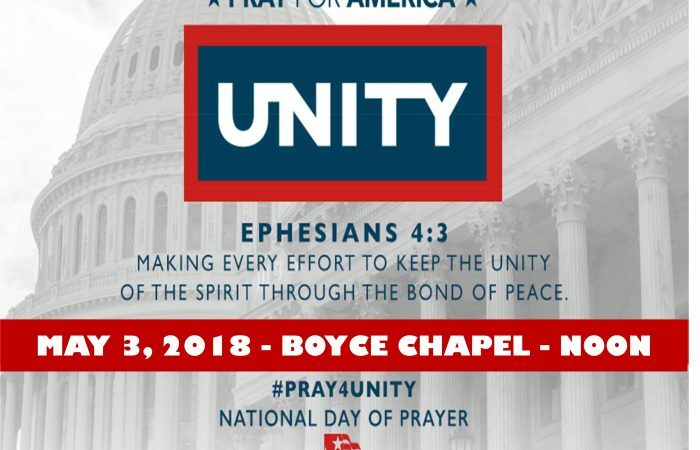 Pray for unity in our churches. Pray for our Military and it’s leaders. Pray for God to grant courage, protection, and strength for them and their families. Pray for families in our nation, your state, and throughout your community. Pray for the Lord to protect and strengthen marriages, encourage parents, and bring healing to relationships. Pray for unity in our families. Pray for God’s presence in our schools, colleges, and universities. Ask Him to select teachers and administrators who honor His statutes and protect our children. Pray for teachers, administrators and families to work together for the benefit of our students.